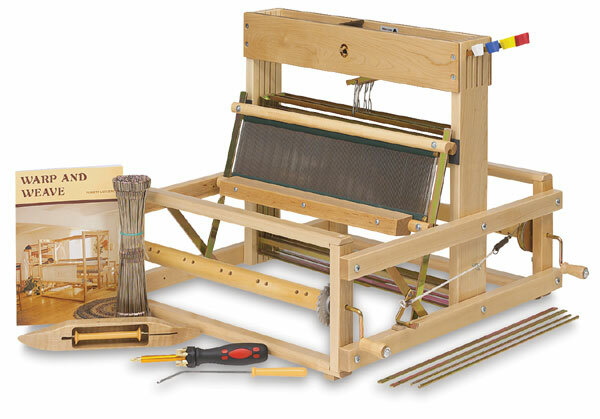 This loom weaves up to 15-3/4" (40 cm), a practical size for schools, hobbyists, and occupational therapy. The four harness levers may be set on either the right or left side of the loom. The Leclerc Dorothy Table Loom is collapsible for storage.